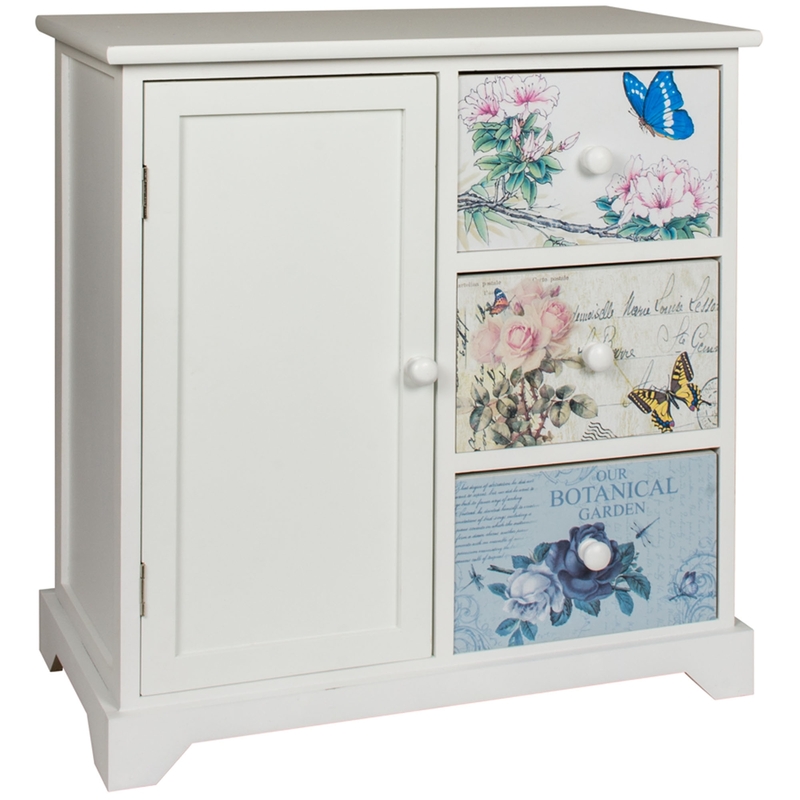 Add a charming design to your bedroom by introducing this beautiful Shabby Chic Butterflies 1 Door 3 Mini Drawer Chest. This mini chest of drawers has a fantastic design that'll be sure to stand out and impress. The plain white drawer contrasts with the 3 beautifully designed and colourful drawers to create a very stylish and sophisticated design.